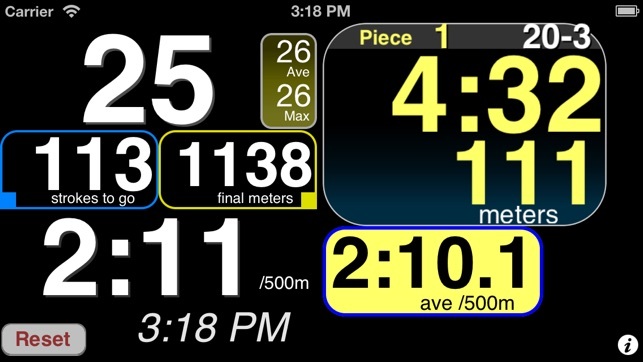 RitmoTime Stroke Monitor is an advanced on the water training tool that any rower or paddler can use to get real-time stroke rate, speed and distance feedback during water workouts. 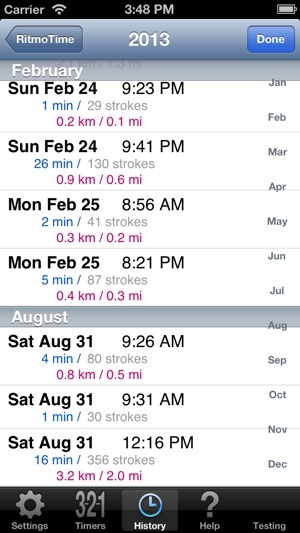 Every stroke of every workout is recorded and saved for later review. RitmoTime harnesses the impressive computing power and portability of the iPhone to become the ultimate in water sport training devices. 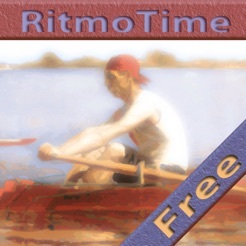 RitmoTime Stroke Monitor Free will function just like the paid version except the app must be restarted after 50 strokes. In addition, RitmoTime will map your entire workout and display recorded data for each and every stroke for a lifetimes worth of workouts! * Speed, distance and mapping only on GPS enabled devices (iPhone or iPod touch with GPS receiver attachment purchased separately). Heart rate feedback is available with the ANT+ Fisica Sensor Key by Wahoo Fitness or with compatible Bluetooth low energy (BTLE) heart rate monitors. Choose from three main display types. Choose the two easy to read and simplified Classic displays or select the Espresso view with selectable readouts. The Espresso view contains two touch select readouts each with a choice of twelve quantities to display. 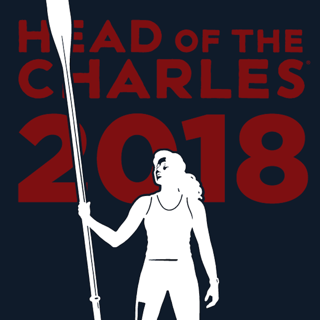 Just tap on the touch field to choose from boat run, heart rate, stroke count, distance, heading, compass heading, remaining strokes, remaining time, remaining distance, total strokes, total time and total distance. The “remaining” and “total” quantities are real-time estimates shown during pieces and are based on a preselected piece time, duration or distance. RitmoTime uses all three accelerometers to measure stroke rate in any orientation relative to the boat allowing for maximum flexibility when mounting. 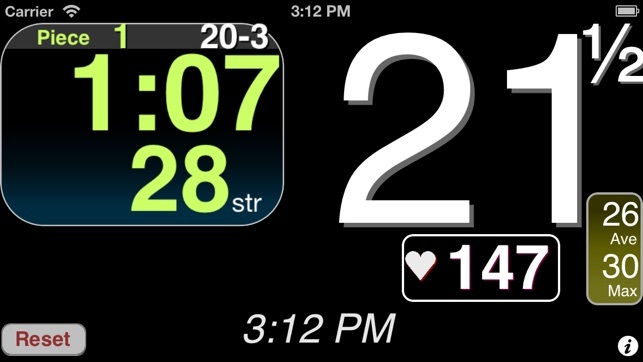 The exclusive Auto Piece Timer feature is much more than just an “auto start” capability – it automatically starts and stops a separate piece and rest timer based on preset user stroke rates. This means hands free timing of pieces whether starting from rest or “on the fly”. 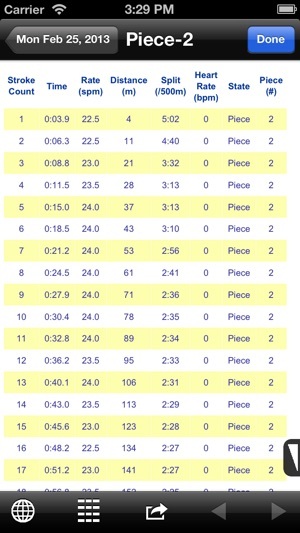 No more tedious programming workout work/rest intervals. 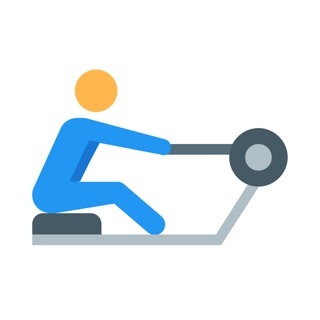 Instead of following a scripted workout you programmed at the dock, the Auto Piece Timer follows your rowing and starts the piece/rest timer when you begin and end your piece and rest intervals. All workout data is saved, subdivided into pieces and can be viewed on your iPhone, in table or map format, and emailed for sharing. The ultimate workout and race log and recorder! Because RitmoTime works in any orientation it does not need to be mounted in any particular way, it just needs to be secure from sliding or rocking. Protect it with a waterproof case, wrap it in a sweatshirt or towel and then stuff it in front of the foot stretchers. No need to interact with RitmoTime during your workout or before your race as the Auto Piece Timer will organize your data into pieces and rest for easy viewing on the device immediately after your workout. Do you have an iPod touch or iPad without GPS? GPS can be added with a separate hardware attachment. This is a great solution for those who don’t have an iPhone. Your total cost, iPod touch + waterproof case + RitmoTime + GPS attachment, is still less expensive than almost all traditional dedicated stroke monitors that have speed and distance capability. GPS attachments for the iPod touch from Dual, Bad-Elf, and Emprum have all been tested by Full Compression LLC and work great. Pay for RitmoTime only once. No upload charges or hidden fees. Enjoy all future upgrades and added features for free. Waterproof case and mounting ideas can be found at our website www.ritmotime.com. 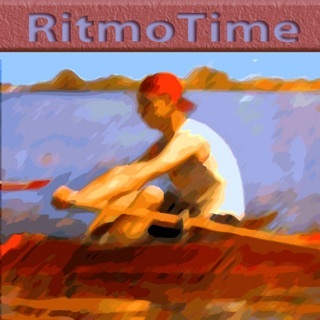 I started using Ritmo so I could have my iPhone with me at all times for business and emergency reasons, during rowing. It's great to not have to install any wires or impellers. The fact that this app keeps records and gives feedback that you can email/print helps me track my workouts. I will be buying the full version soon enough. Really cool and helpful app!